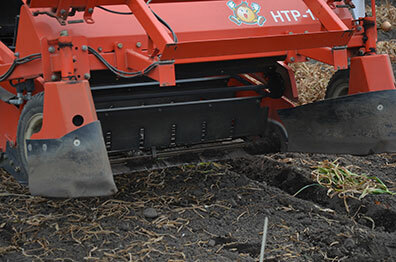 The onions are windrowed in alternating beds, piling two rows of onions in each bed and leaving an empty row in between. Loading windrowed onions from the field into storage boxes. 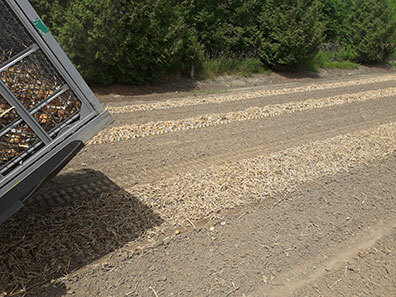 After the onions have been windrowed and placed in alternating beds, they are then loaded into storage boxes. This is done using a very compact loader that moves on small tracks. Loading the windrowed onions from the field into storage boxes. 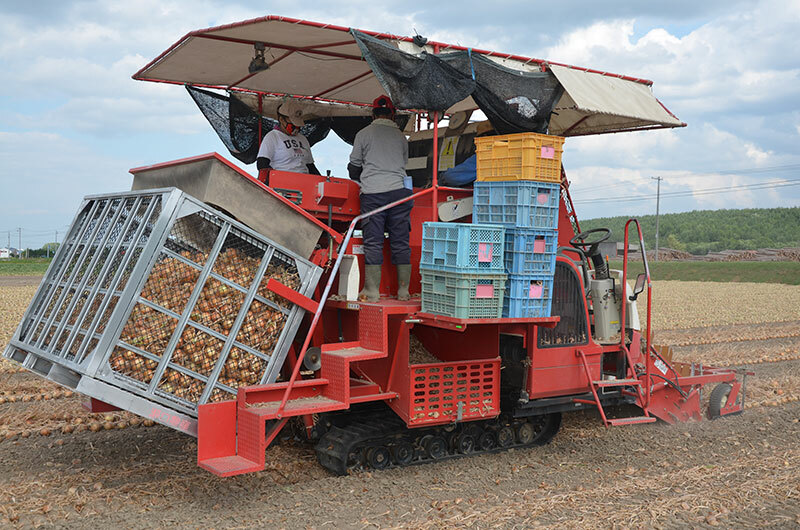 The loader lifts the onions using a blade the width of the onion bed, on a rod conveyor. 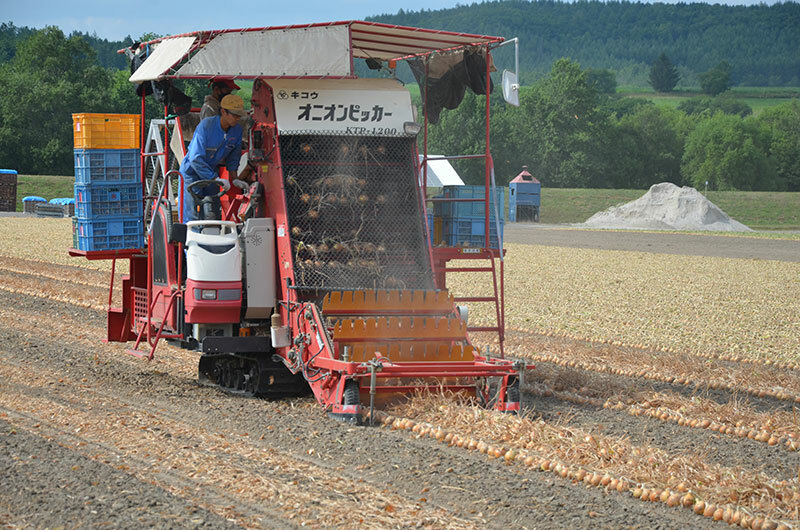 The function of this conveyor is to separate the soil from the onions. 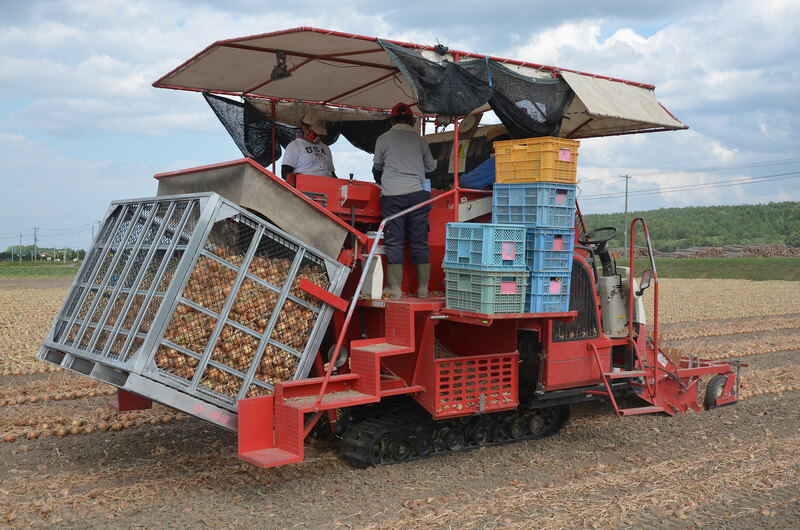 Then the onions are placed on an elevator that brings the onions to a roller inspection table. 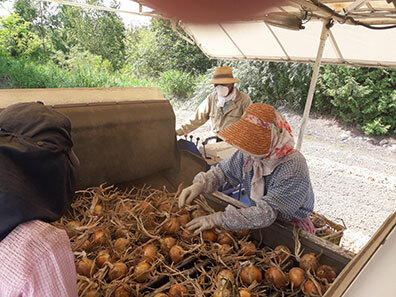 The onions are then inspected, and the loose leaves are removed manually. From there, the onions are gently placed into boxes. When a box is empty, it is tilted with its side nearly parallel to the ground. It gradually tips down as it is filled with onions, ensuring that none of the produce is damaged as it falls. Once the box is full, the loader stops and a tractor with a forklift replaces the full box with an empty one. To give ample space for the onion loader to move around. 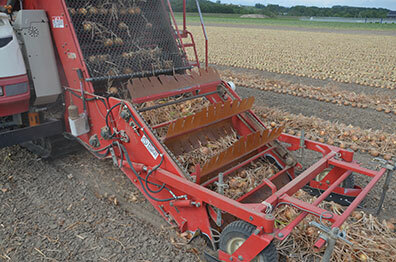 This allows for three to four percent more onions per hectare than in Europe.